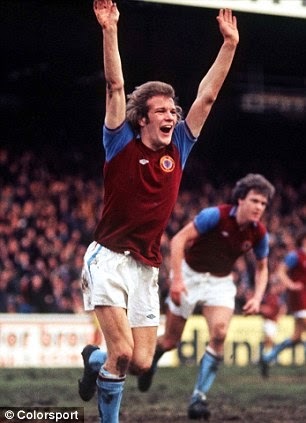 Andy Gray gave me over half-an-hour of his valuable time this morning - on the phone from Qatar, where he now lives working for beINsports with Richard Keys. Andy's clear and direct views on Aston Villa are underscored by his constant use of "we" and "us" when talking about the club. He loves Villa where he played in two spells and assisted Big Ron when Villa denied Manchester United a domestic treble when winning the League Cup at Wembley. He's distressed at their current plight. He discusses new signing, Carles Gil, the future of Randy Lerner and Paul Lambert, the new CEO Tom Fox and rumours of a Director of Football aiding Lambert. Andy also pays tribute at the end of the interview to Sir Jack Hayward, Mr. Wolverhampton Wanderers, who passed away, aged 91. Listen and feedback to me!